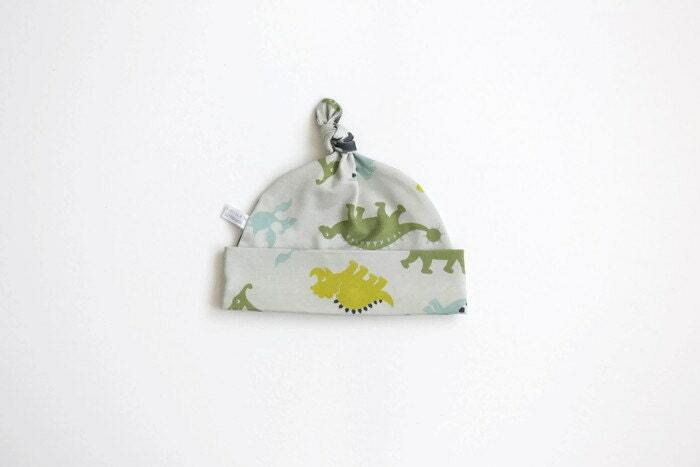 This cute baby knot hat will keep your little one's ears nice and warm. 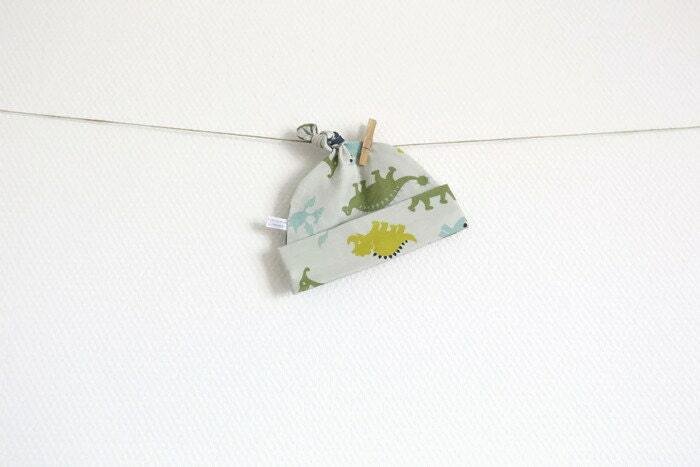 Each hat is made from 100% certified organic cotton with dinosaurs (Dinos by Znok). 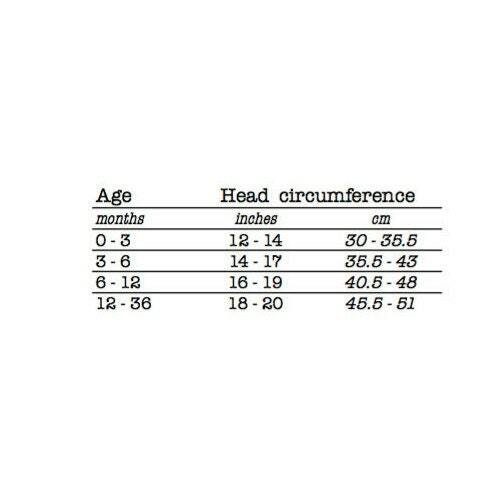 The fold over band keeps it comfortably in place while being soft and gentle.